Romelu Lukaku has admitted that his move to Manchester United happened primarily thanks to the efforts of Jose Mourinho. The United manager was determined to snap up the Belgian from Everton, and worked tirelessly to make the move happen, constantly phoning him up and explaining how important a signing he would be at Old Trafford. Since the striker signed for the club, Mourinho has lavished praise on him, and claimed that he will be a crucial factor in helping United challenge for top honors once more. Another man who played an influential role in the 24-year-old picking the Theatre of Dreams instead of a move back to Stamford Bridge was Paul Pogba, who himself smashed the world transfer record when he re-signed for United last summer. 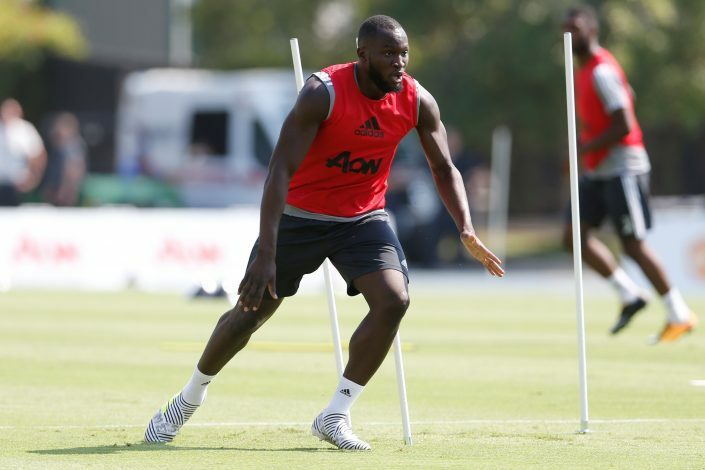 The Frenchman spent his holidays in LA with Lukaku, and the pair constantly posed for pictures with each other and uploaded videos of themselves working out and training together to get fit ahead of the new season. However, in a recent interview, Romelu Lukaku has revealed that he was always going to be the one who took the decision for himself, and he further admitted that Mourinho had more of a role to play than companion Pogba in his transfer. “We were just on holiday together,” Lukaku said of Pogba. “At the end of the day, I had to make my own choices. Mourinho worked with Lukaku while the pair were together at Chelsea, and one of the main reasons he was forced to leave the club was because there was just no way to get into the team while his idol, Didier Drogba, was still around. The Ivory Coast and Chelsea legend was one of the Portuguese manager’s most trusted enforcers, and Lukaku has drawn many comparisons with his former Blues teammate. However, he insists that he is, in fact, a completely different player than Drogba, and is his own man who wants to ‘create his own history’. “Not really, I’m different,” the Belgium international said when comparisons to the job Drogba did for Mourinho were brought up. “Drogba is more of a hold-up player, a target-man. I prefer to have ball to feet and run in behind. It’s something we’re totally different at.